With 32 years of area knowledge and 17 years of Real Estate experience, Allan’s understanding of the local market is second to none. 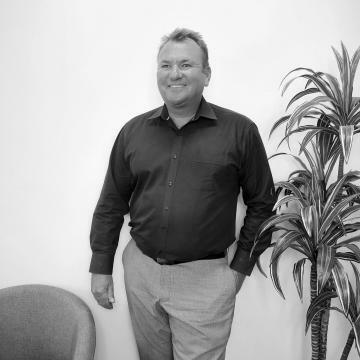 Allan has been trained by the best in the Industry and, with his wealth of local market knowledge to draw upon and his sharp selling skills, he is able to offer the ultimate service to his clients. Allan’s previous work history has included being a Police Constable within the W.A Police Force, a SCGH Client Service facilitator and a Carpenter in the Building and Construction Industry. Through these experiences, he has gained valuable interpersonal and communications skills. He enjoys making things happen for people so it’s a win/win relationship when he helps his clients achieve their goals. Allan strives to be the best he can by putting his words into action to deliver the best client service possible through “Total Commitment”. Fun Fact: Always ready for a Bevvy! Dream location for your new home with inlet views through majestic Karri trees! The Little River walk is the only thing between you and the Wilson Inlet. There are numerous walk trails and paths including the Bibbulmun Track which lead you to Ocean beach, Denmark Town & beyond. This is an ideal opportunity to build a split level or pole home with outstanding views to be had. Whether you are looking for a holiday country retreat or a permanent place to settle this beautiful rectangular block provides a 20metre frontage allowing for a variety of building designs. 17 Payne Road is just over 3km to the town centre and around 8km to the blue waters of Ocean Beach allowing you to enjoy the tranquil natural setting with the convenience of being close to town. RARE OPPORTUNITY, so be ever so quick to call .. Alan Chaloner 0414934264 to secure your piece of paradise. Quality, Style & Space! Why build when you can move straight into this beautifully finished and super spacious near new home. Completed in 2017 by reputable builder Don Russell homes and boasting 272m2 of building foot print. No expense has been spared here with soaring high ceilings, gleaming porcelain floors with top quality fixtures and fittings throughout! Main features Include; • Built in 2017 by Don Russell Homes. • 463m2 block with double garage accessed from rear lane. • Double door entry and wide passages greet you upon entry and welcome you through this beautiful light filled home with soaring high ceilings. • Gleaming Italian porcelain floors. • Shoppers secure entry door into home. • 4 very large bedrooms. • 2 sparkling bathrooms. • Separate theatre / lounge music room at front. • Huge open plan family living at rear. • Large gourmet kitchen looks over family living. • Family living flows out to under main roof alfresco and private gardens. • Ducted reverse cycle air conditioning. • Security alarm system. • Located in the very central Daviot Park estate opposite glorious parklands and bird sanctuary. • Easy access onto Reid Hwy and nearby Freeway entries. Gwelup shopping centre, Karrinyup shopping complex, Karrinyup Country club and local schools are within easy reach. Be sure to inspect this quality family home by appointment only. Call Allan on 041493464 to book your private inspection. Wonderfully elevated 4 bedroom, 2 bathroom family home with sweeping leafy views and fresh sea breezes. Absolutely gorgeous throughout - modern, homely, fresh & exciting all mixed together with a lovely blend of tones and textures. The outdoors area kiddies dream with lawn areas, an awesome cubby house out the back and secure gated play swings out the front! Home Features: • Elevated generous sized 518 M2 block. • Intercom and security gated front garden with amazing outlook. The little ones can safely play without worry. • 4 bedrooms. • 2 bathrooms. • Beautiful Karri hardwood solid timber floors. • Spacious open plan design with huge main family living area flowing to outdoor alfresco via large stacker doors. • Lush and private rear yard with extra space around the home so you won’t feel at all boxed in. • Separate lounge/ theatre room. • Spacious master bedroom enjoys private location at the front of the home with his and her walk-in wardrobes and ensuite bathroom. • Kitchen features Corian benchtops, extensive pantry storage, ample cupboard space, island bench breakfast bar for meals, new dishwasher and glass splashbacks. • Fully Reticulated front and back established gardens and lawns. • Secure double remote garage with store room and direct entry into the laundry. • East west aspect with living room area facing north. • Keypad remote security alarm system with CCTV security-camera system (with hard drive and phone application) • Verandah covered entrance with double entry front door. • High ceilings to main living and an abundance of natural light throughout the home with views of greenery from every window. • Ample storage throughout. • Ducted evaporative air-conditioning. • Reverse cycle split system air-conditioner in main living zone. Awesome 654m2 Family Sized Block! RARE OFFERING! Don’t miss your last chance to secure the last big vacant block in Gwelup! Situated in a quiet cul-de-sac near picturesque nature reserve and playgrounds. This unique and private battleaxe block allows for many building options, ideal if you want a 3 car garage plus extra parking for the teenagers, boats and caravans etc. Also awesome for the kids to play and ride their bikes up and down the large driveway which you can secure with an entry gate! You will think your living in Hollywood here in this spectacular custom designer resort style 4 bedroom 3 bathroom entertainers dream home! Luxurious low maintenance living with a stunning indoor heated pool adjacent to an alfresco second kitchen so you can entertain in absolute style all year round. Located in the sought Privet lane private estate just across from the primary school. MAIN FEATURES INCLUDE; POOL: pool fence was inspected and certified in 2015. 4 BED, 2 BATH + STUDY! This is YOUR chance to live in a better suburb at well under Gwelup’s medium house price! Yes that’s right this very spacious family home is priced to please the bargain hunters! Well located on natures doorstep a short stroll to Gwelup plaza shopping, public transport and within an easy reach to local primary school and the popular ‘Lake Gwelup Reserve! GREEN TITLE 500m2 block! FEATURES INCLUDE; 4 good sized bedrooms with built in robes. Large separate study or 5th bedroom. Large garden shed. R20/40 Development potential 690m2 level block with tidy 3 bedroom, 1 bathroom home currently tenanted on a periodic agreement! Tenant happy to stay. Located in the Woodvale College catchment area and a stone throw to Creaney Primary school, walk to Whitfords train station, parks, Kingsley shopping centre & tavern, also many beautiful parks close by. Be quick to contact Allan as these development potential properties are selling like hot cakes!